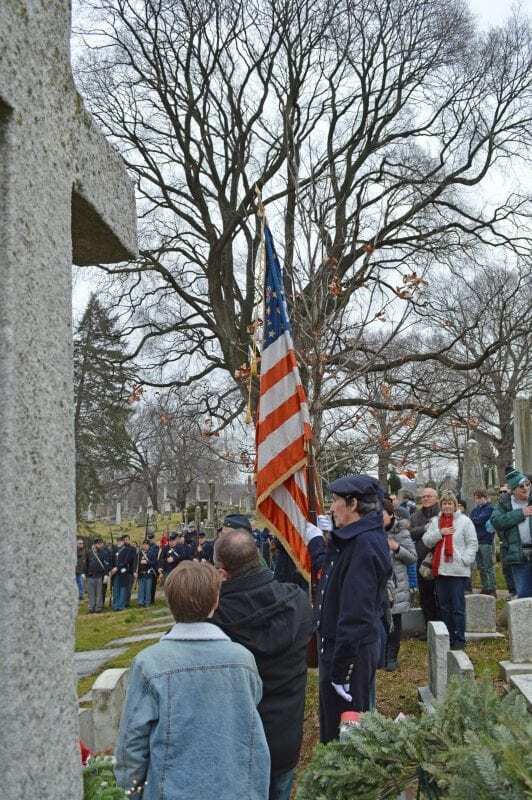 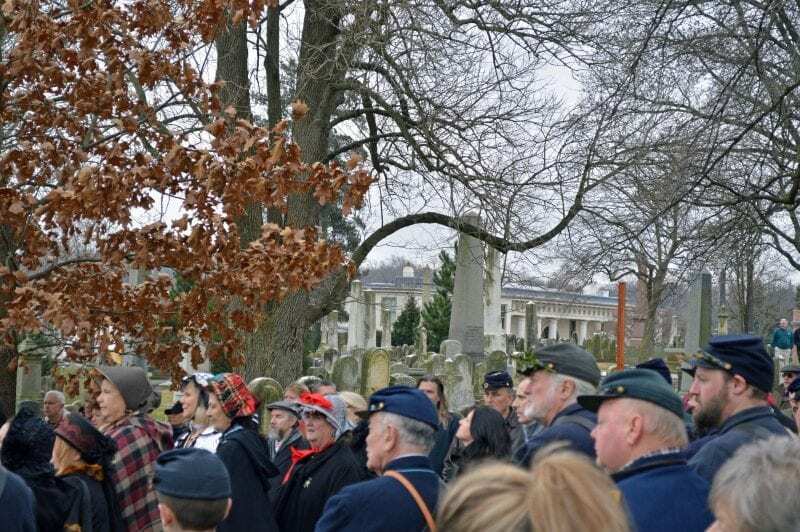 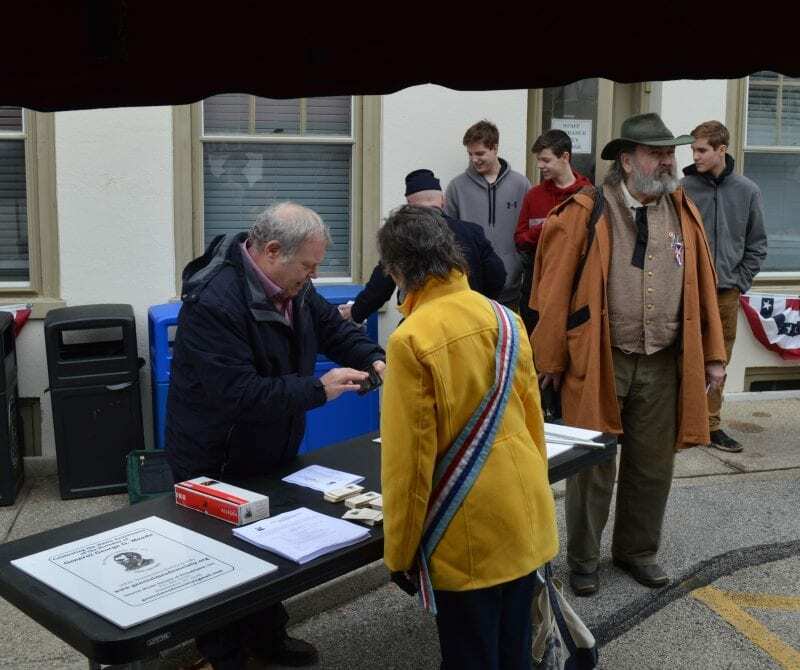 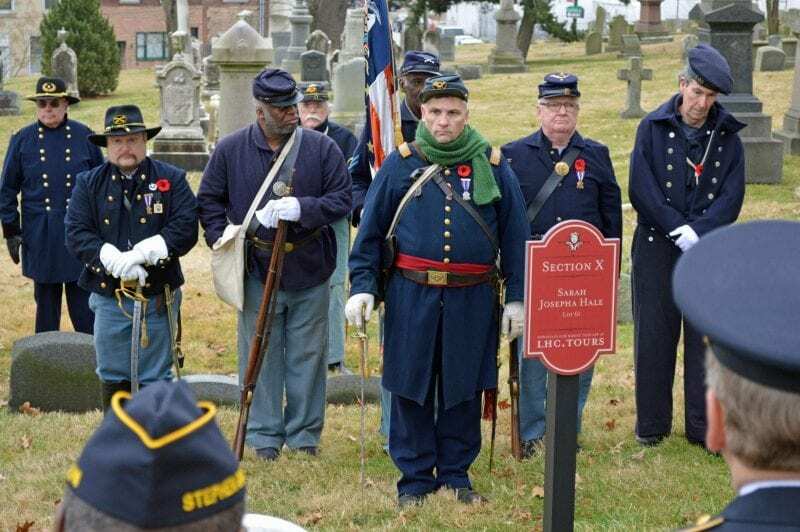 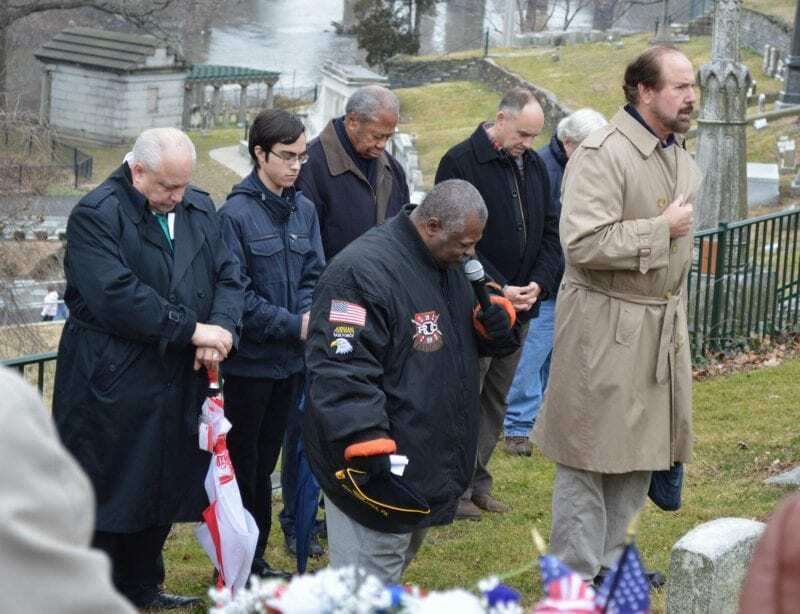 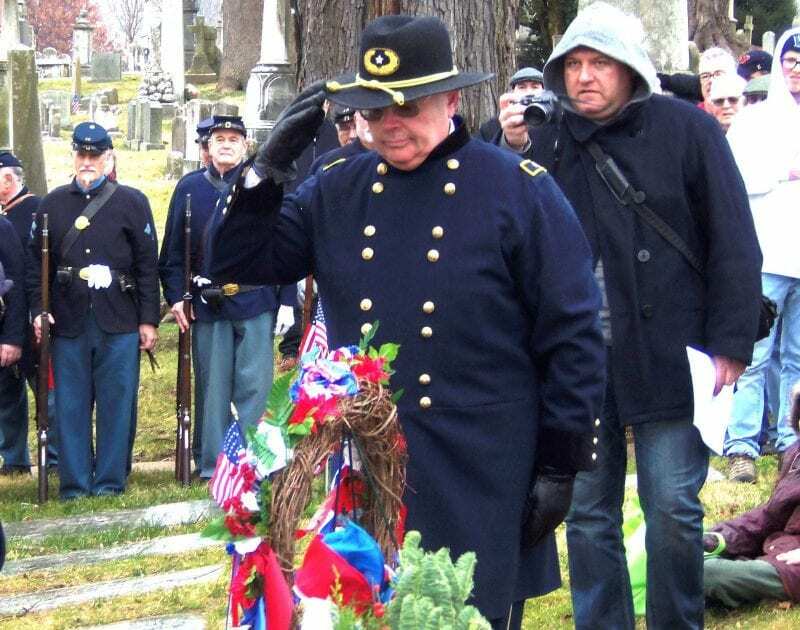 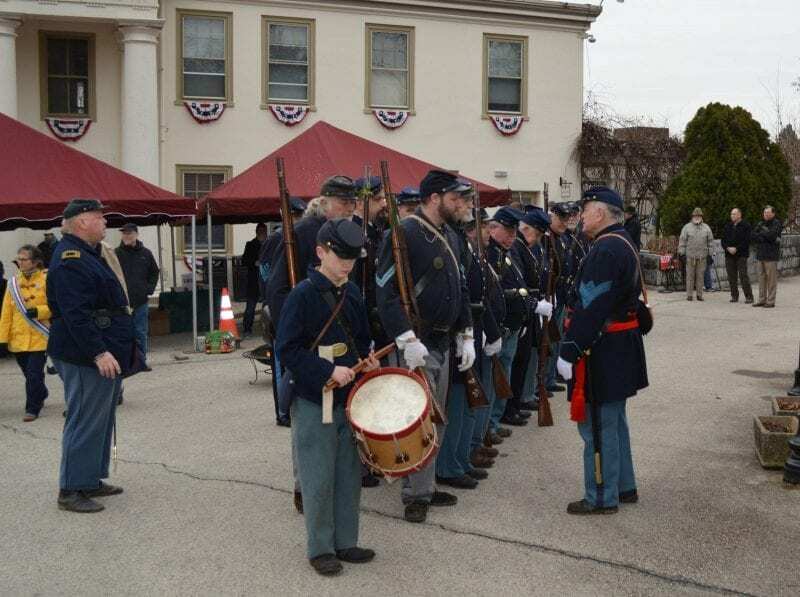 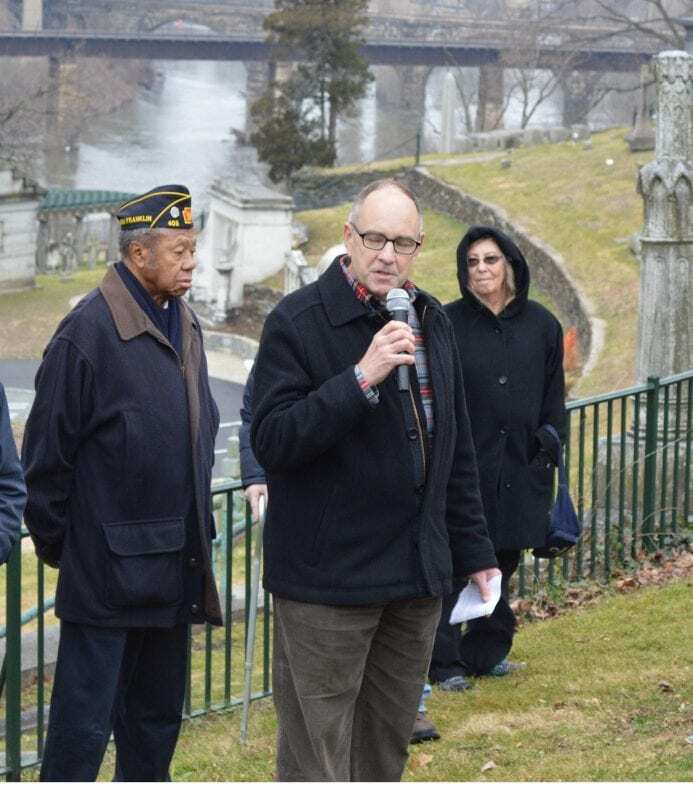 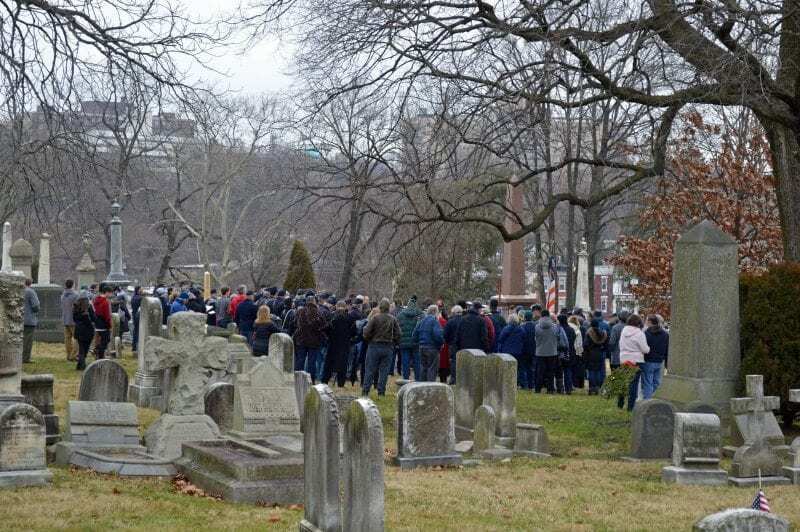 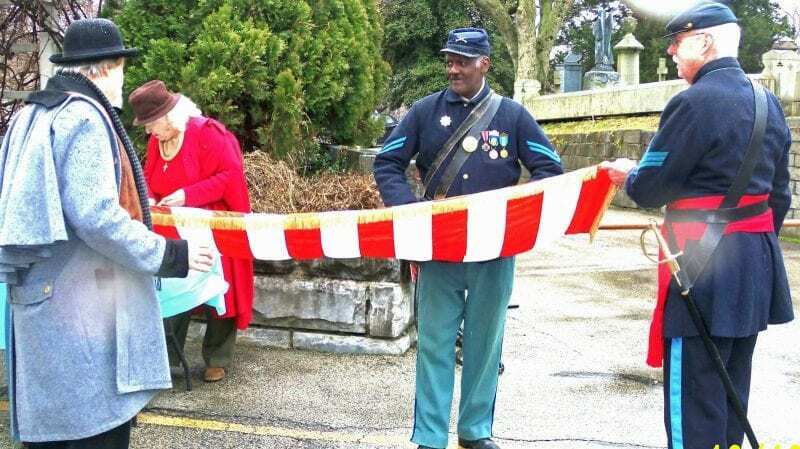 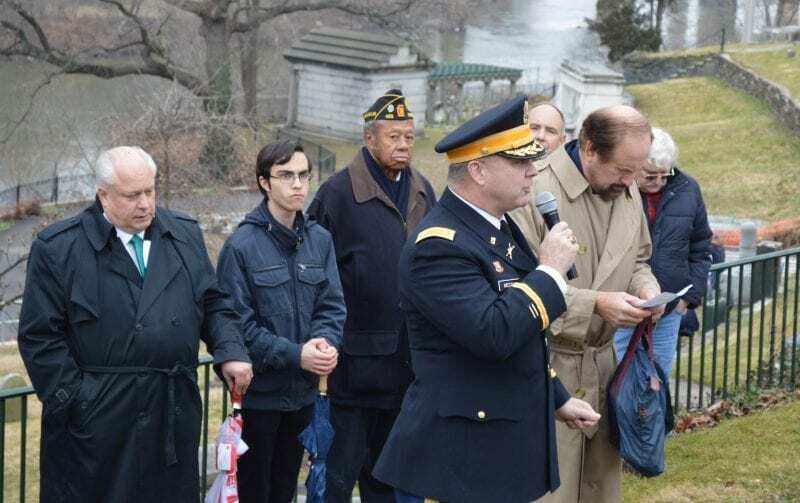 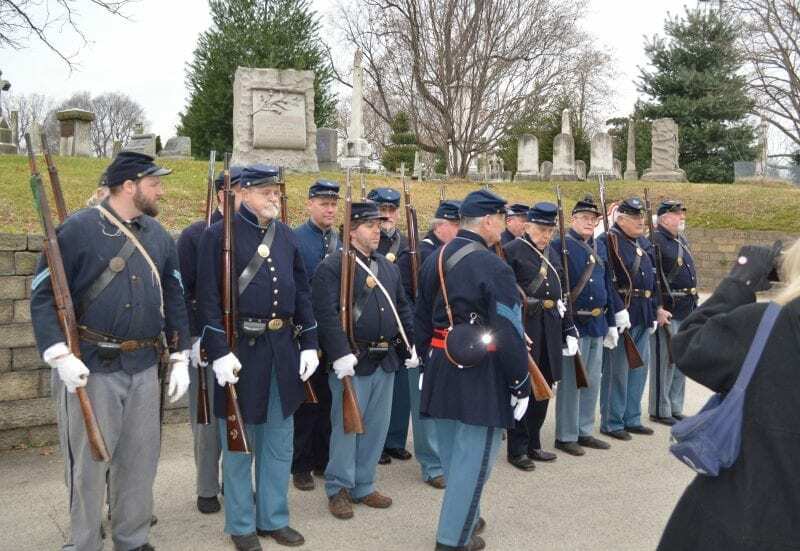 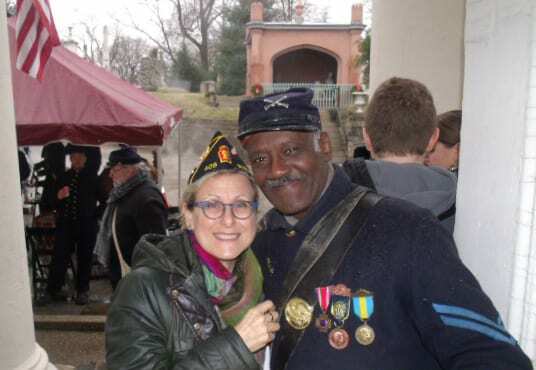 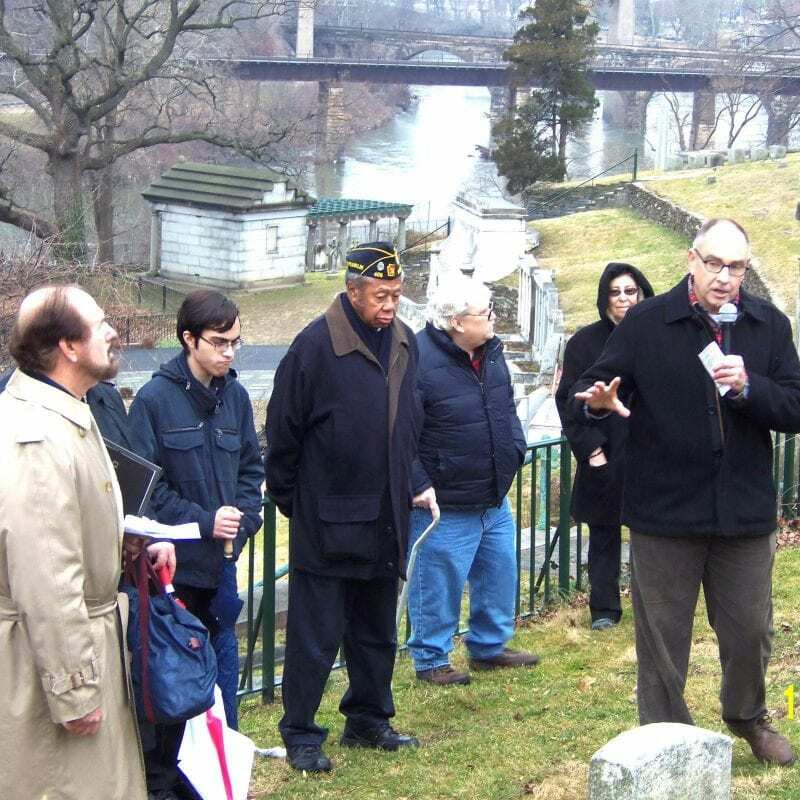 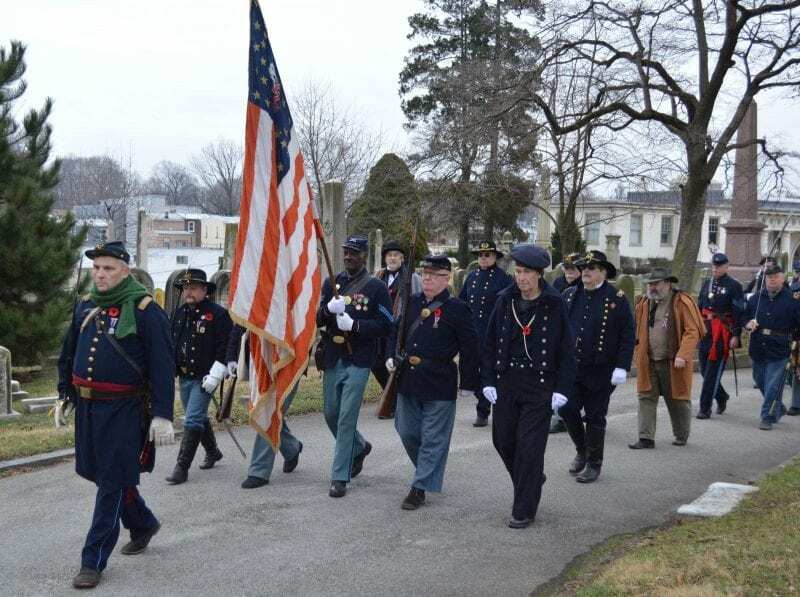 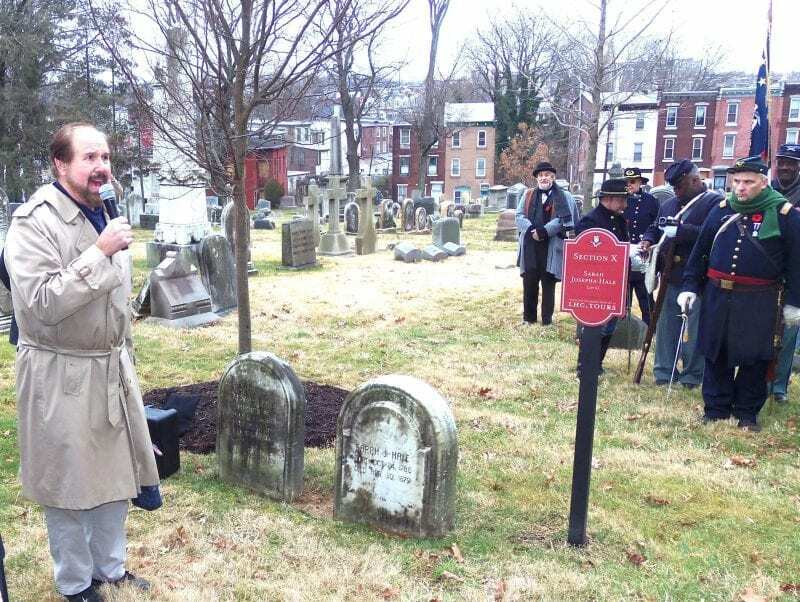 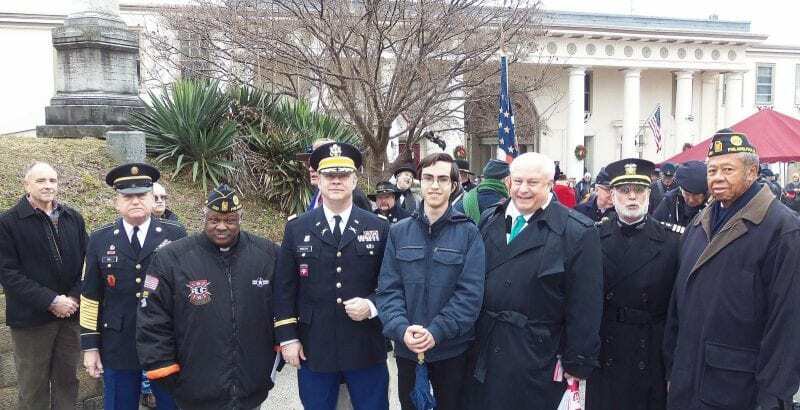 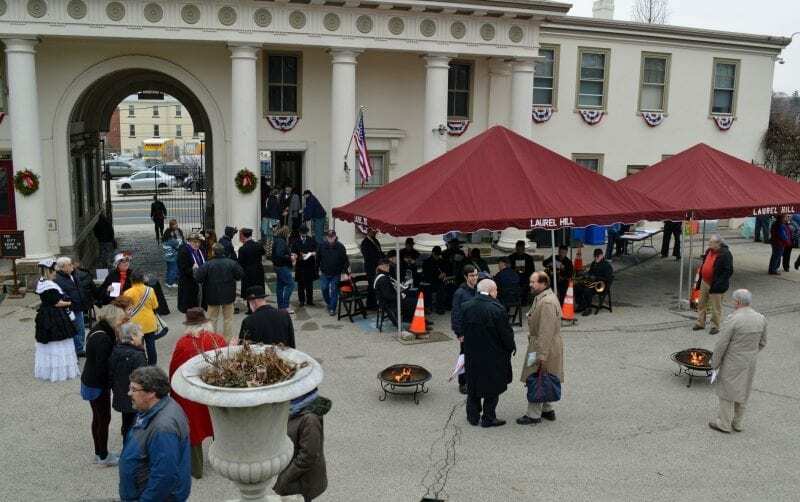 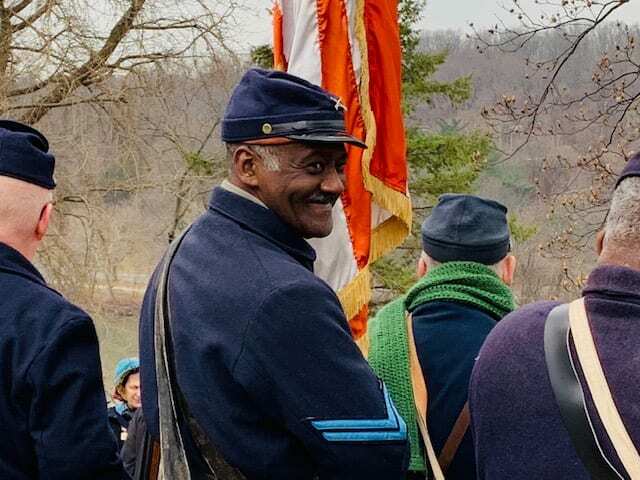 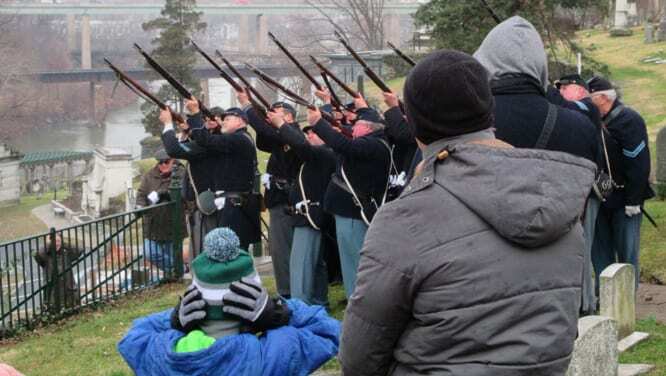 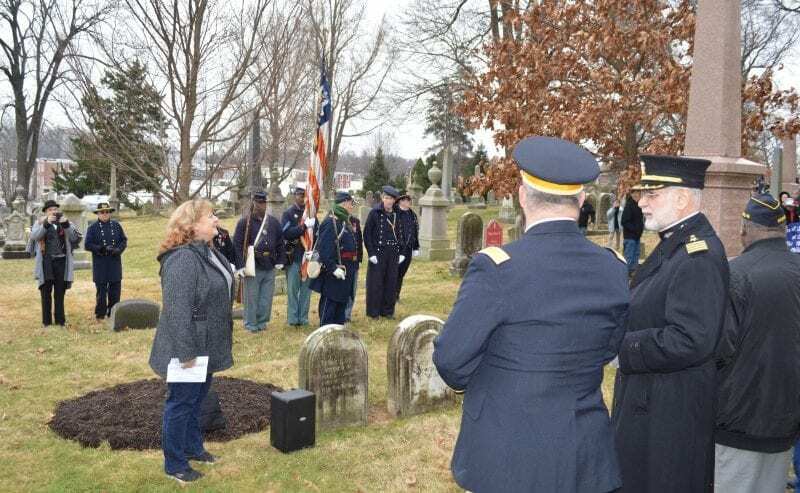 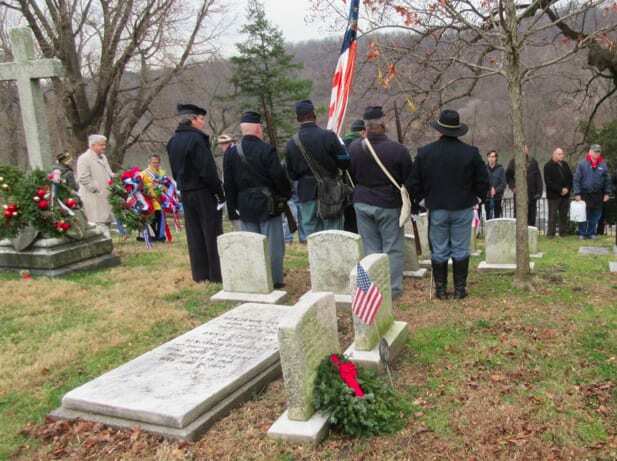 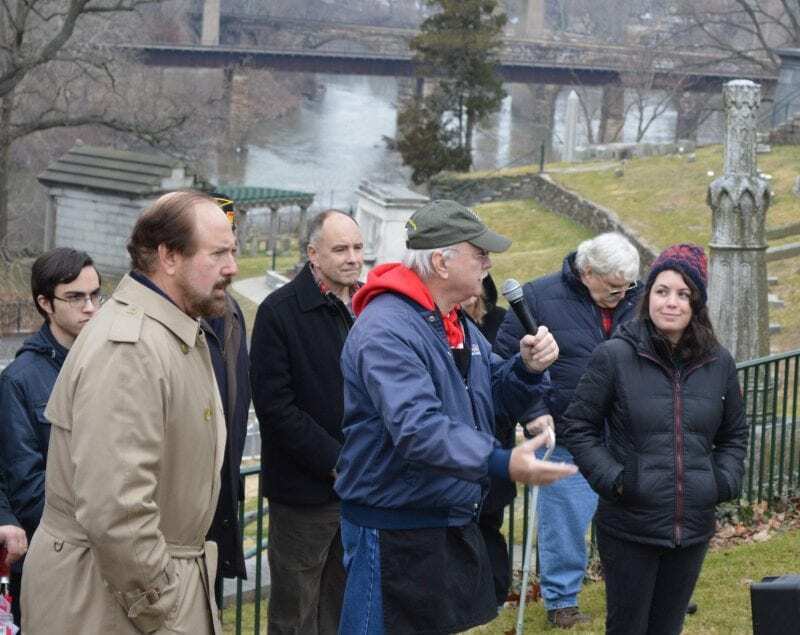 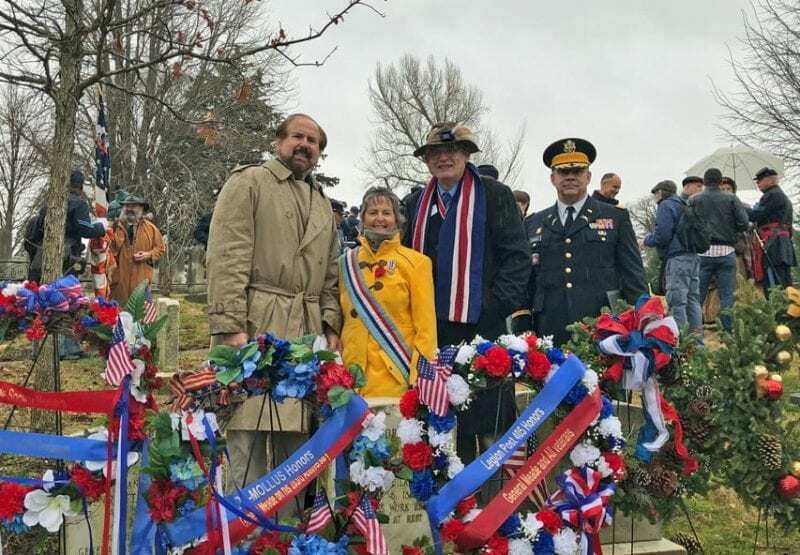 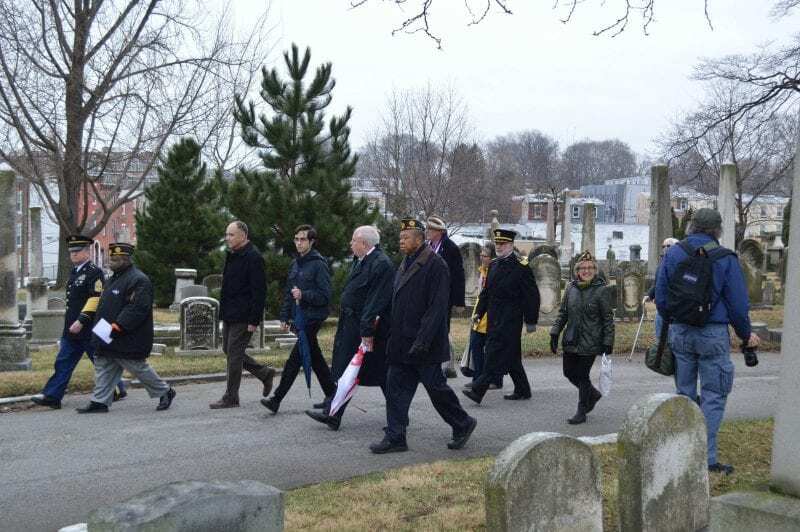 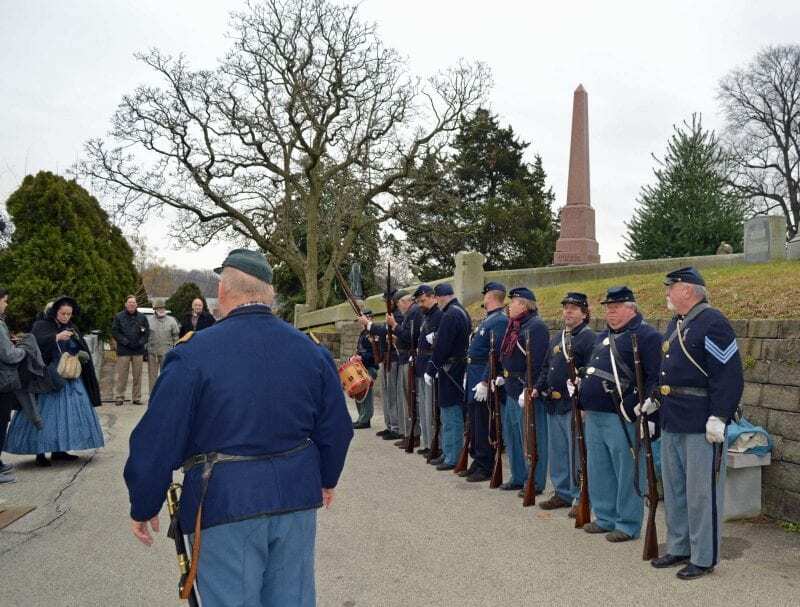 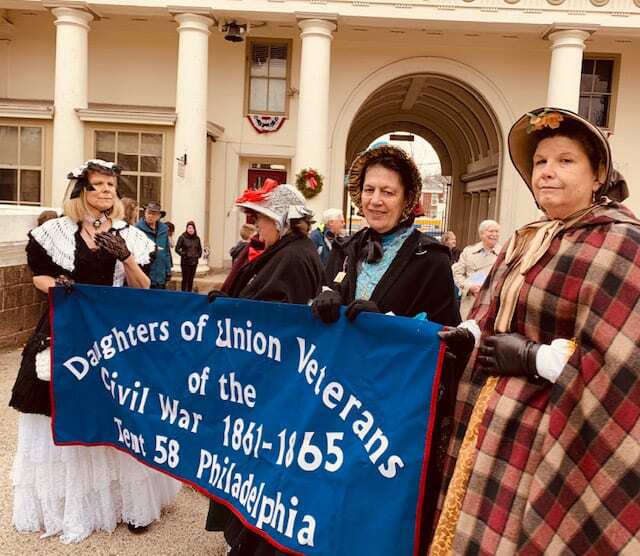 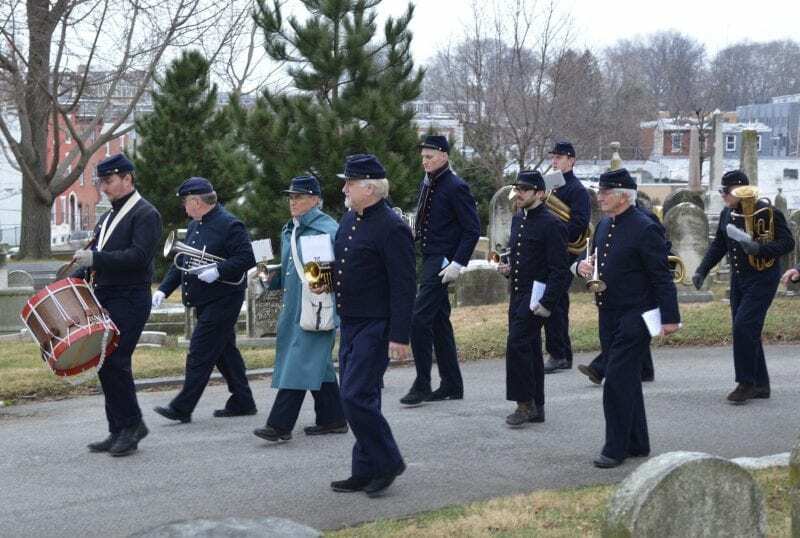 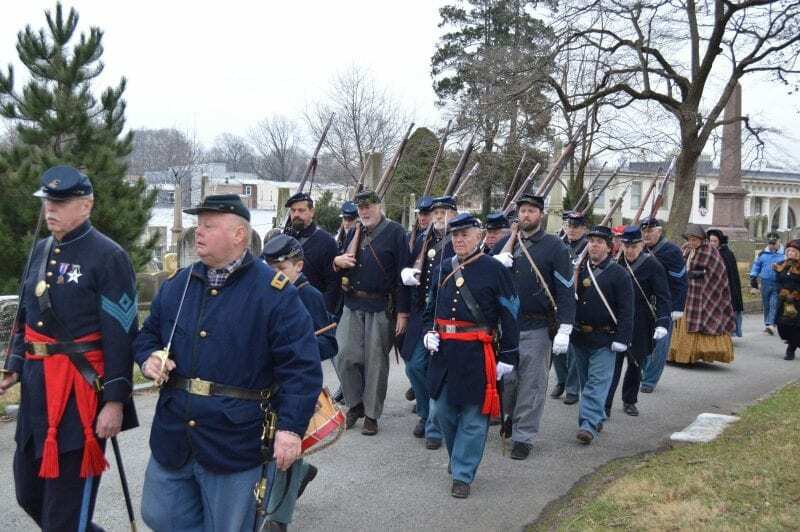 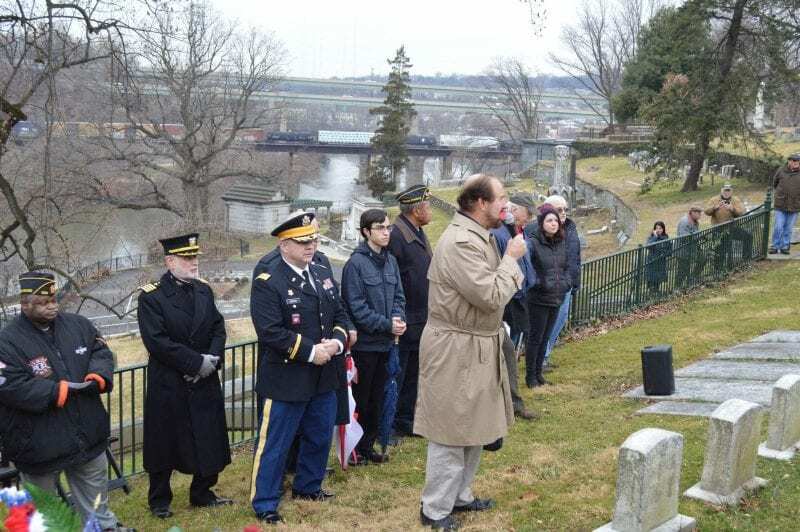 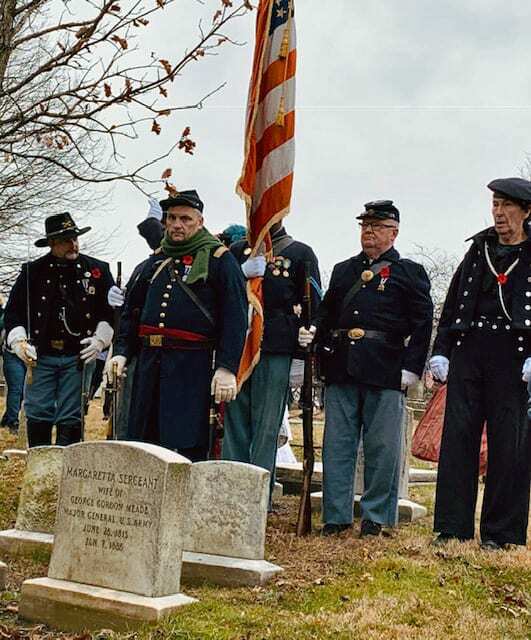 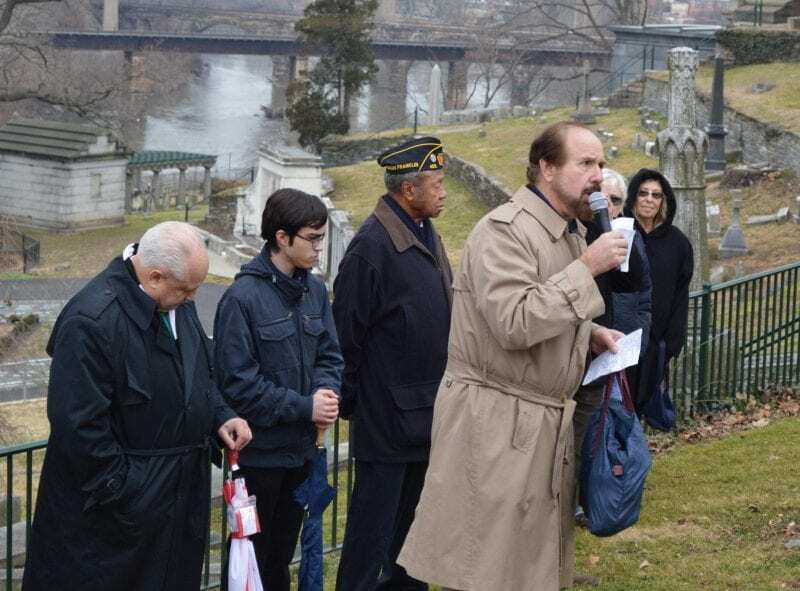 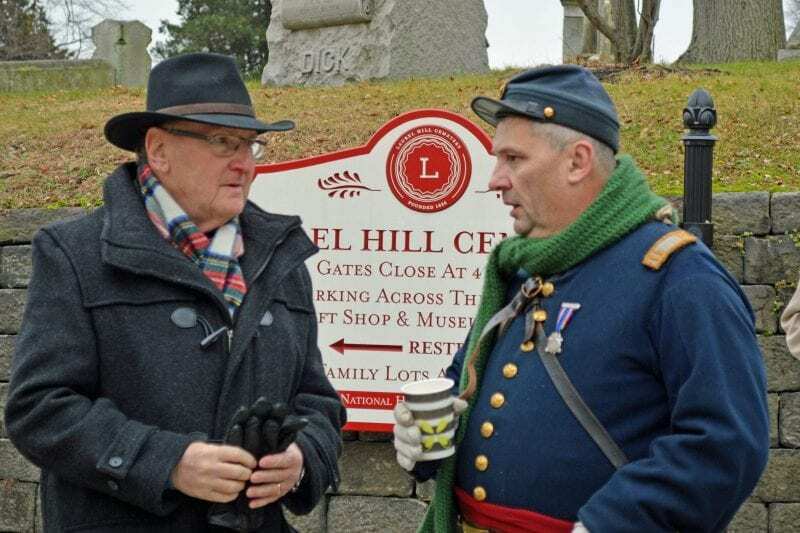 The customary annual celebration of the General Meade Society of the great General’s birthday at Laurel Hill Cemetery took place on December 31st, 2018. 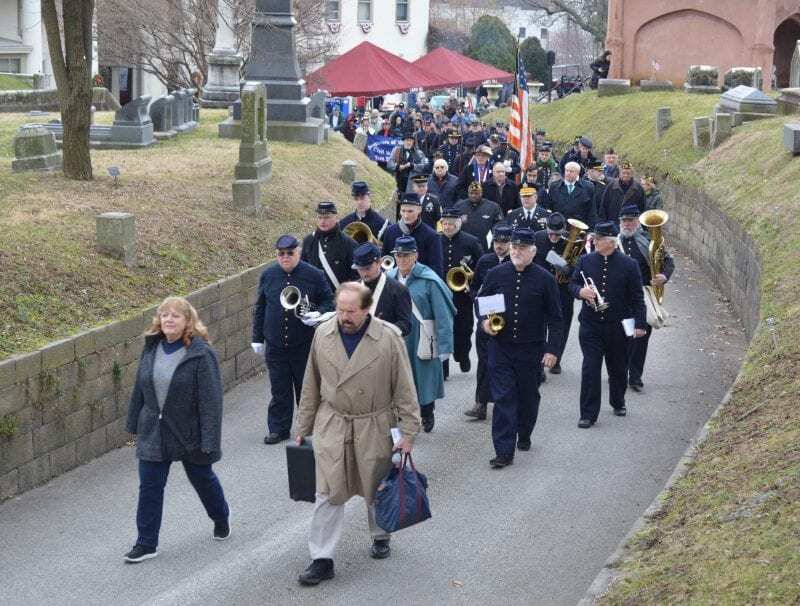 Last year’s ceremony was a lot colder; this year’s threatened rain, but held up for the most part while Beck’s Philadelphia Brigade Band played a medley of Civil War era tunes for the crowd. 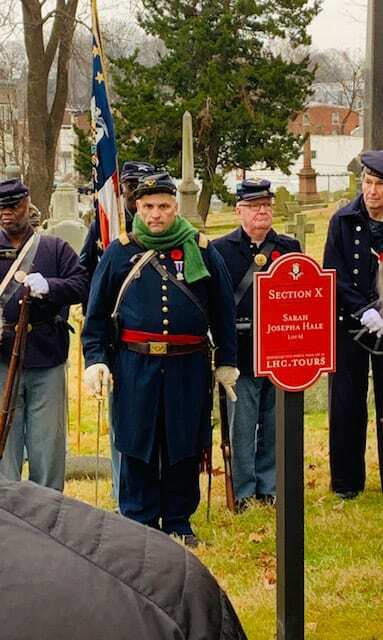 Following a side trip to the grave of Sarah Josepha Hale to honor her place in American history as a writer, poet, the founder of Thanksgiving and her service to veterans, where a tree was planted in her honor, the group processed to the grave of the great Philadelphian, General, and servant to the Union and the United States. 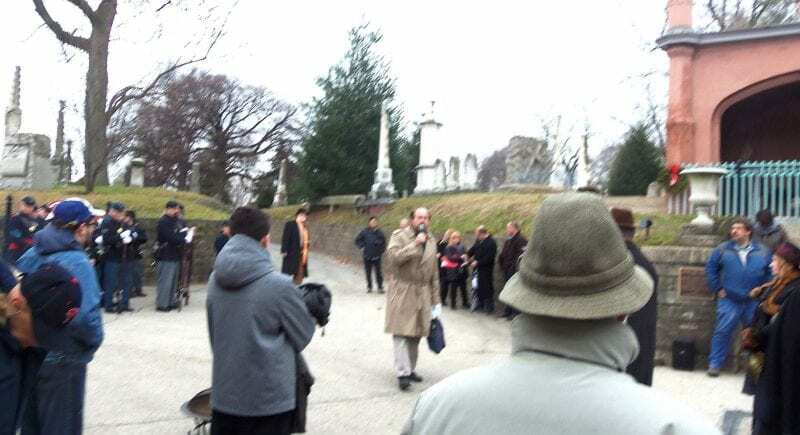 Professor Andy Waskie was the Emcee for the day, introducing various people and units. 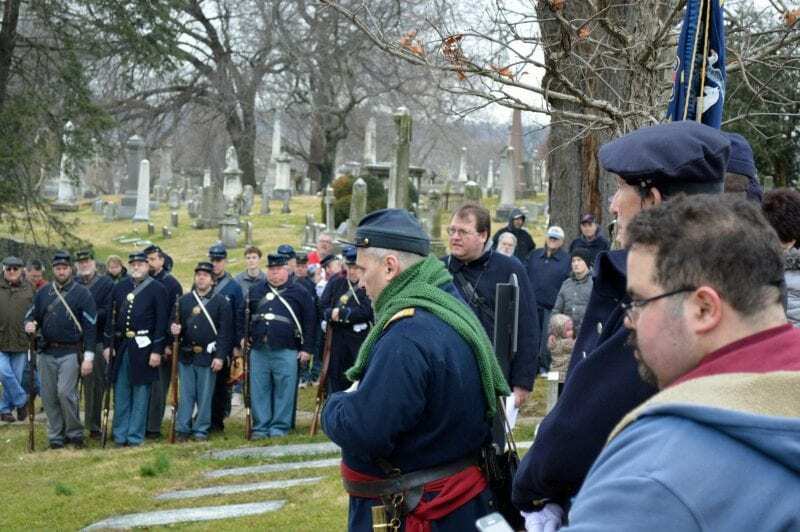 After an invocation by the Reverend John Brown, several speakers addressed the life and career of the victorious general. 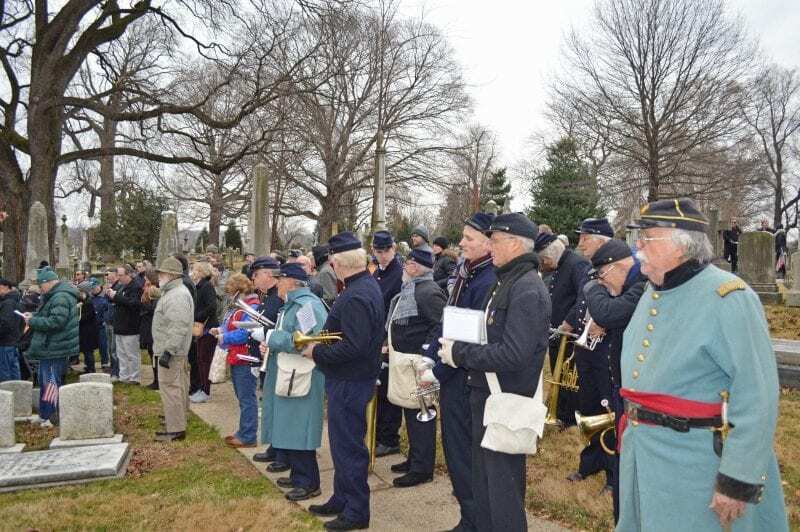 There was a musical interlude by the Philadelphia Brigade Band and the most gracious speakers, Colonel Mark Eshelman and Major Andre McCoy. 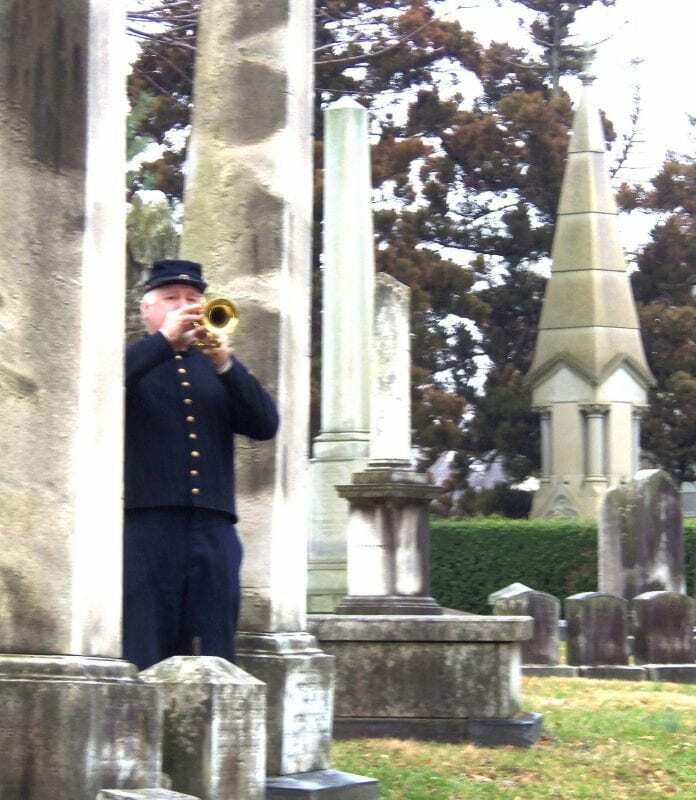 [Click name to see his remarks.] 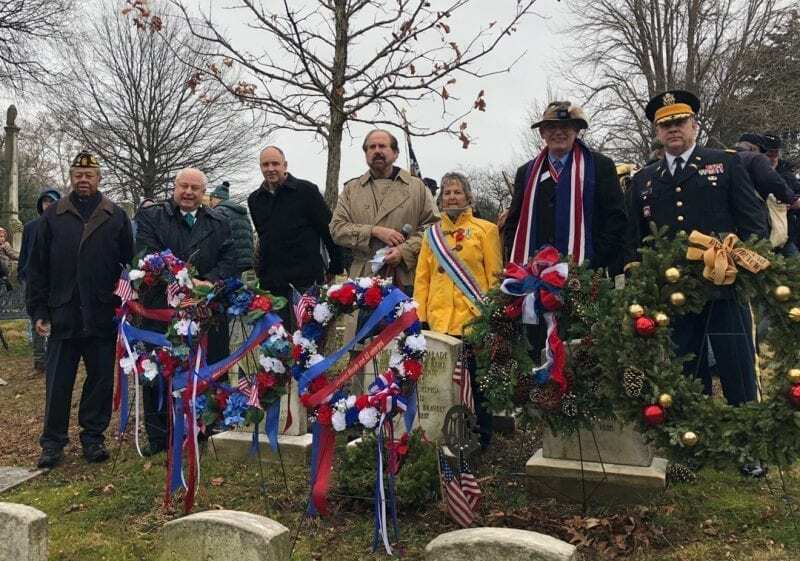 Wreathes were laid to honor the Meade family followed by honor volleys and a fine rendition of Taps, a benediction by the Reverend Brown, and what all were waiting for: the Champagne Toast — the general’s favorite drink! 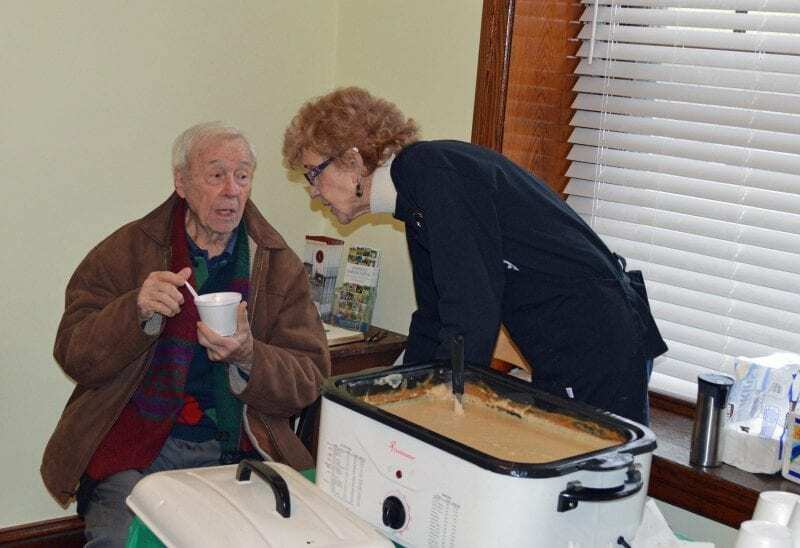 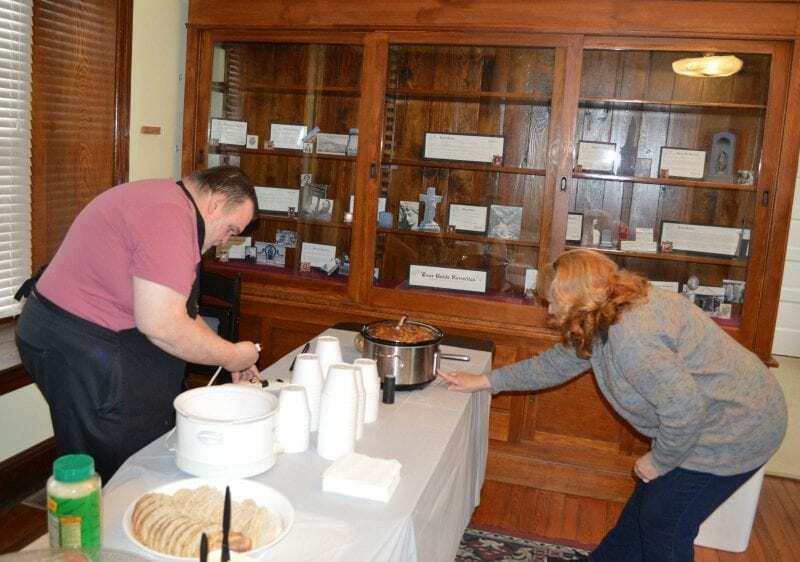 After the toast the crowds headed back to the Laurel Hill Gatehouse for refreshments of hot coffee and desserts, warm soups and beverages provided by the Kearney Kommissary. 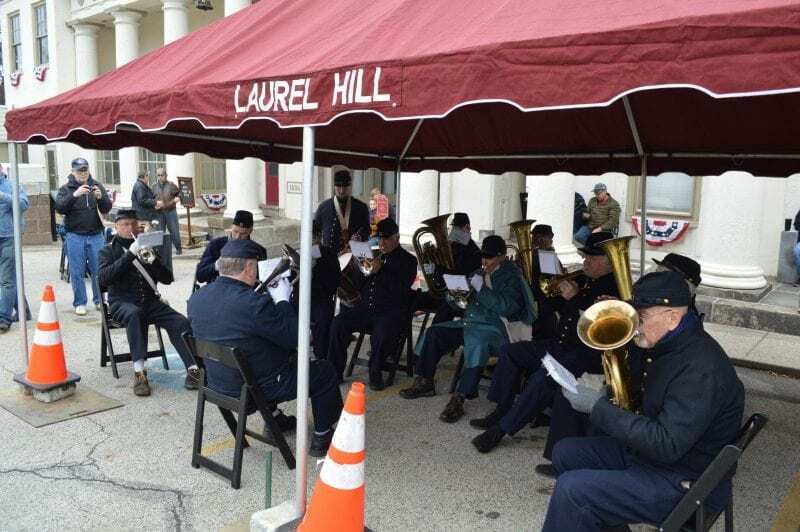 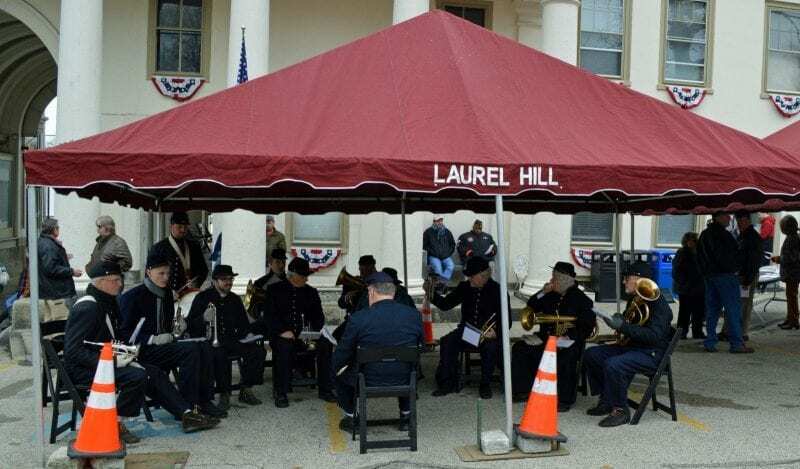 Many thanks to Laurel Hill Cemetery, the various speakers and uniformed military units that participated in this year’s event! 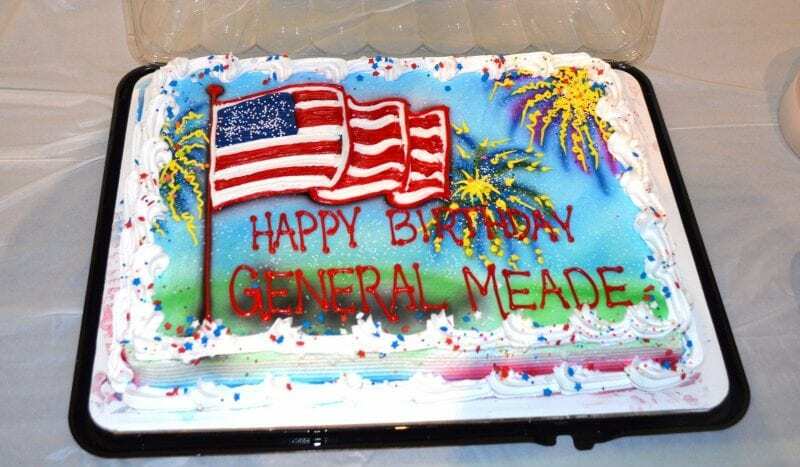 Copyright © 2015-17 The General Meade Society of Philadelphia Inc. All rights reserved.